Disturbing details of "illegal" torture techniques used by the US government after the 9/11 attacks were revealed by the Central Intelligence Agency (CIA) following a Freedom of Information Act (FOIA) request from the American Civil Liberties Union (ACLU). More than 800 pages were released Tuesday, which the ACLU says highlights the “inhumanity of the torture conceived and carried out” by the CIA under the George W Bush administration. The documents, some of which have redacted content, were previously seen by the elite group of politicians called the Senate Intelligence Committee as part of its probe into the "enhanced" interrogation program. “It bears emphasis that these records document grave crimes for which no senior official has been held accountable,” ACLU deputy legal director Jameel Jaffer said. Instead of being convicted for war crimes, some of those responsible occupy powerful positions like federal judge, law professor, and vice president of a defense contractor. If Richard Tallman and Jay Bybee are not impeached they will turn court room into crime scenes. Although some of the details have been previously reported, these documents further detail the gruesome methods used during the lifetime of the covert operation. Rahman froze to death in a CIA secret prison in Afghanistan in 2002 after being doused in water and left in a cage semi-naked with no blankets or any form of heat as temperatures dropped below 32 degrees Fahrenheit (0 degrees Celsius). The report goes on to say that if there were no diapers to hand, prisoners were “placed back in their cells in a handcrafted diaper secured by duct tape” or sometimes completely naked. It is also shown in the files that some CIA employees had objected to some of the techniques being used on the suspects, as well as the legitimacy of their detention. One memo detailed how a field officer had “serious reservations with the continued use of enhanced techniques” on suspected Al-Qaeda operative Abd al-Rahim al-Nashiri, who remains at Guantanamo Bay today. It’s equally clear, however, that other officers, including those in the higher ranks, found the covert operation to be both effective and within legal bounds. Instead of sitting in his own prison cell, Pavitt currently serves on the board of the Scowcroft Group, which is named for the former National Security Advisor for Presidents Gerald Ford and George H.W. Bush. One “special review” by the CIA found some felt it would be important for the agency to hide the extent of the torture, indicating that relevant detainees should be hidden from representatives of the International Committee of the Red Cross for as long as they live. Another draft letter shows how the CIA applied to the Justice Department, asking the attorney general to “grant a formal declination of prosecution” for any future measures taken by their personnel against Abu Zubaydah. The Al-Qaeda suspect, referred to as AZ, remains at Guantanamo Bay. The application was made as the methods they intended to use on Zubaydah “normally would appear to be prohibited under the provisions” of the federal law known as the Torture Act. A number of torture methods have been used against Zubaydah. 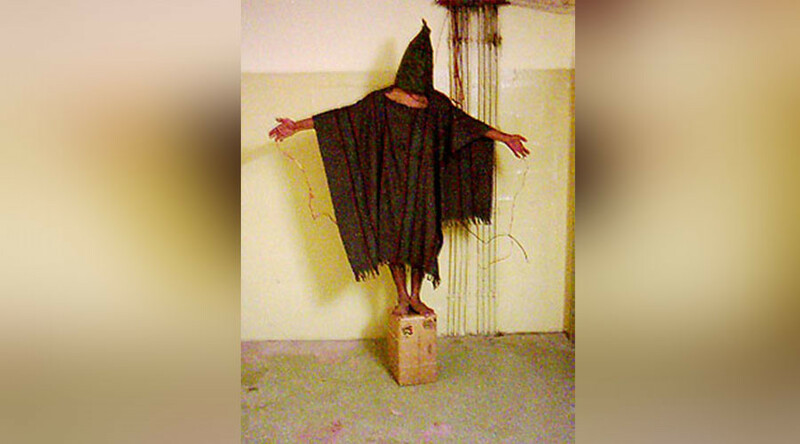 He was subjected to 83 waterboarding sessions and was placed in a coffin-sized box for a total of 266 hours (11 days, two hours) over a 20-day period. “All major players are in concurrence that AZ should remain incommunicado for the remainder of his life,” a memo reads. The use of such interrogation techniques was banned by President Barack Obama in 2009, although presumptive Republican nominee Donald Trump said in February that if he was elected, he would "bring back a hell of a lot worse than waterboarding," echoing his previous sentiments on it. If America was under the threat of imminent attack, would Obama use torture or a kiss? Trump was forced to clarify his remarks in March, however, claiming he would be "bound by laws just like all Americans," but did add that he would "have those laws broadened."